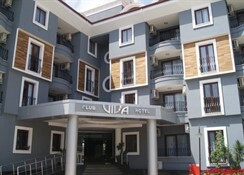 The Club Viva Hotel is located in the pretty residential area of Armutalan within the popular summer resort of Marmaris. Newly refurbished just a year ago, the hotel offers a range of room types to cater for all sizes of groups and families, and good all-inclusive facilities. The atmosphere is relaxed and friendly around the swimming pool and the main beach is just 1km away, with shops and restaurants just a stone''s throw away. Choose the Club Viva Hotel for a great value for money, all-inclusive holiday in the sun. Getting to the hotel: Dalaman Airport (DLM) is 90 km from the Club Viva. 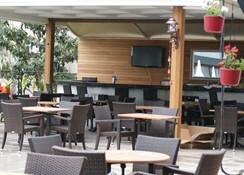 Local tips: The Club Viva Hotel is around 1km from the beach, and around 1.5km from the centre of Marmaris. Travel around the resort is easy with the local dolmus (minibus), which runs from right outside the hotel, and local attractions include Marmaris Castle Museum, the colourful covered Bazaar and the Marmaris Marina with its range of bars, nightclubs and restaurants that really come alive at night. Further afield, the most popular daytrip is Dalyan, the home of the loggerhead turtles and Lycian Rock Tombs, just over an hour away. Food, drink and entertainment: All meals are served buffet style in the main restaurant, with indoor (air-conditioned) and outdoor seating. The pool snack bar serves drinks to the poolside, and additional snacks maybe purchased from here. Regular themed nights and entertainment is held throughout the season including BBQ''s, Turkish nights, dancing and live shows. Sports, games and activities: Outdoor swimming pool, waterslide (working certain hours), sun terrace, loungers and parasols, gardens, well equipped fitness centre, sauna, Turkish bath, massage (local charge), table tennis, beauty centre (local charge). a wide range of watersports and activities can be found on Marmaris beach. For the kids: Outdoor play area, games and gardens, waterslide and a children''s pool. The Club Viva Hotel features 78 modern guest rooms, including standard double or twin bedded rooms, some of which can sleep a third person and family rooms that can accommodate up to 4 people in 2 separate rooms. All feature a private bathroom with bath, WC and hair dryer, air conditioning, flat screen Satellite TV, mini-fridge, safe (payable locally), telephone, and a lovely balcony. Free baby cot available on request. All Inclusive: All Inclusive consists of all meals breakfast, lunch and dinner served buffet style in the main restaurant. Snacks are available at selected times during the day. 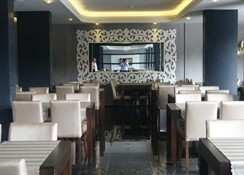 Located approx 15 minutes walk from the centre of Marmaris and the beach. Local transport is readily available from the local Dolmus. 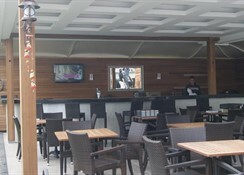 In the resort centre guests can enjoy the variety of shops, bars and restaurants available. The hotel is situated close to a traditional Mosque. Dalaman Airport is approx 90 km from the resort of Marmaris. This hotel has had a lot of money spent on it and is of a good standard staff work hard rooms are nice with good bathrooms the pool and bar area is great plenty of sunbeds a great value for money place to visit. This was an okay hotel had to be moved room very cramped and no drawers to put anything in apart from 1 small one for 2 women pmsl. The hotel is very clean food is good. This hotel is a 20 min walk away from main street. On the plus side fabulous pastry shop just up to the left of the hotel very friendly and fantastic cakes and pastries.